Aviation Updates Philippines - A South Korean-based airline is revising the planned Seoul to Kalibo (Boracay) flights. Flights to Kalibo will start on July 7 to meet the increasing demand of Korean tourists from Boracay. The updated timetable follows. Above, it shows that the airline will operate 4 weekly flights to Kalibo. According to airlineroute.net, reservation is currently not available for the public. However, Kalibo will be the airline's fourth Philippine destination aside from Manila, Cebu and Clark. The Airbus A320-200 was equipped with 143 seats in a 2-class configuration. In business class, there will be 8 seats with personal televisions. The remaining 135 seats will be for the economy class which are equipped with overhead televisions every 5 rows and personal audio. Flights from Korea (Seoul and Busan) are already being served by AirAsia Zest, Cebu Pacific, and Philippine Airlines to meet the demand of the rapidly growing tourism in Boracay. Asiana Airlines is proudly the first foreign carrier to operate flights between Korea and Kalibo. Meanwhile, a local carrier is developing Kalibo as its second hub due to congestion at the Ninoy Aquino International Airport Terminal 4. AirAsia will be increasing flights to Kalibo from daily flights to 13 weekly flights and base a number of aircraft in Kalibo to prepare the airport for its international flights to China and South Korea. 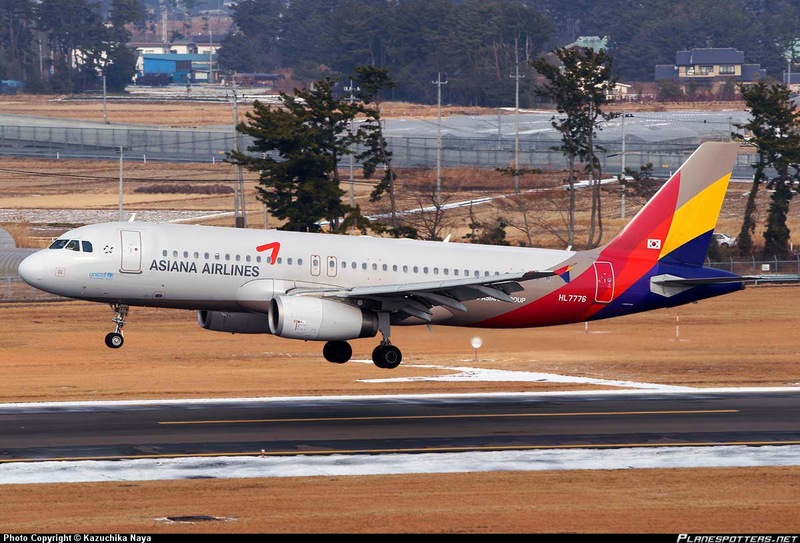 Aside from Kalibo, Asiana Airlines introduced its flights to Jinan on May 2 which operates 2 weekly flights using its Airbus A321-200.